(first posted 6/12/2011) In a parallel universe, this would be a 1978 Chevy III, Ford Dearborn, Plymouth Cranbrook or Studebaker Larkette. It’s more “American” than the American cars of its time, trying so hard to look like a miniature Oldsmobile or Dodge sedan from ten years earlier. Toyota has always been the most “American” of the Japanese car makers, as well as the most conservative. Of course, both of those concepts are part of an image Toyota was eager to cultivate here, since it seemed like the way to be acceptable. But it also repeatedly threatened to leave it behind, in terms of the state of design and technology. There had been a time when the Corona was the brash new kid on the block. Some ten years later, it was already suffering from “Camry Syndrome”: dull, boring, out-of-date, conventional, and of course, dead reliable. Well, amidst a sea of self-destructing Vegas and Volares, that did have its charms. How un-American was that? 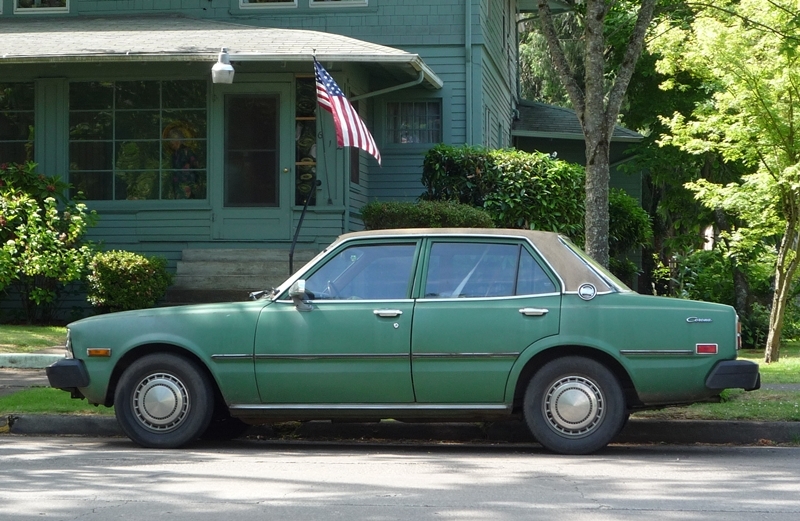 We’ll take a look at the earlier Coronas sometime, but this green 1978 with its vinyl roof so epitomizes the era when the Corona became an American household word. Look! It even has a bench seat and column-mounted shifter for its Toyoglide automatic transmission. Not that three corn-fed Iowans were ever going to sit there; all at the same time. The Corona was still a fairly narrow car, unable to belie its Japanese roots that way, despite the facade its all-American wheel covers. Yes, the Corona initially made its inroads in California, and by 1967 or so, they started popping up in big East Coast cities. Perfect example: my high school art teacher in Baltimore drove on of the first ones I got a close look at that same year. But the Japanese invasion was unstoppable, and the first energy crisis was the biggest boon for them since the death of Studebaker. By the time of this Corona, there were few places in the country left where you got a weird look if you told them you drove a Corona. More likely they wanted to out and check it out for themselves. Lots of former Studebaker dealers became Toyota dealers, to their heirs eternal gratefulness. And the highly conventional Corona certainly wasn’t going to challenge the sensibilities of mid westerners. If anybody was having their sensibilities challenged, it was Californians. Always ready to embrace the next big thing, the Audi Fox (80) and Saab 99 made the dowdy Corona look like Aunt Mildred’s old Dart. Would any of my cohort of up-and coming youthful Los Angelelanos in 1978 have even given the Corona a moment’s consideration? No way. The parking lot at the tv station near Westwood was a tantalizing plate of sushi and pasta, along with a dollop of American ketchup. Hondas, Fiats, Datsuns, Alfa Romeo, a new downsized F-41 Caprice, my Peugeot 404, a stunning DS-21 even. Yes, a Toyota pickup and a Corolla or two, and an “old” gen 1 Corona that was getting its engine rebuilt in a corner of the set storage area. But a new Corona? Maybe if you were one of the early adopters of the married lifestyle. Or maybe a Corona wagon if you were going to ditch the rat race and drive it to Alaska. Now that I’ve put myself back in that time frame, a Corona wagon would have been ok; it clearly identified you as working in the engineering or tech department, but ok. The sedan? With a vinyl roof, no less? If you were going to go down that road, it wouldn’t have been on a Corona. You’d stretch, and get a Seville, a used one, if need be. Sure, everyone appreciated the Corona’s indestructible R-series engine and otherwise all-round solidity. Well, these cars (or some variation thereof) proved their mettle daily for decades as the taxicab of choice in Tokyo. As good a proving ground as it got. The Corona was a Toyota Hi-Lux pickup with a different body, at least as far as the running gear goes. Whoever bought this daily driver probably hasn’t regretted it, even if it was uncool at the time. And Toyota is still building what amounts to essentially the same car: the Comfort, and Crown Comfort, with extended wheelbase. Used mainly as taxis and driving school cars, they are powered by a 114 hp 2.0 L four, and have a solid rear axle. This is the functional equivalent of GM still building a version on the classic boxy B-Body from the late 70s or early eighties. Toyota managed to keep the old RWD Corona hot-dish-alcohol-free Sunday after church get-together going for a while longer, but eventually the risk of being left too far behind compared to those bold European, American and Honda FWD cars had to be addressed. The Camry was quite the great leap forward, and one that took Toyota to the top before too long. Toyota lovers were relieved; the Corona was reminding too much of the Lark’s glacial evolution. Maybe all those former Studebaker dealers were exerting their influence? Nice find again! And my, what an ugly duckling design… but, back then it must have blended in (in its segment), much like today’s Corolla blends in. There’s much to be said for the great sales success of the bland, dead reliable, boring, gray mouse, I’m invisible and loving it, A to B appliance, grocery getter, yes – BEATER Japanese 4-doors. In all decades, starting with the 70s. I never got it. But then, I’ve never been much for blending in or trying to fit in. And that’s just not what really sells, people need reliable, beater appliances, styling be damned (although Hyundai is attempting to take the “appliance” market by styling as we speak). And that’s why Toyota is what it is to the day. This Corona in its duckling glory epitomizes that so, so well. That Westwood parking lot of Fiats, Alfa’s, F41 Caprice, Datsuns sounds great! The garage in my building, in Westwood, consists of BMW’s, BMW’s and more BMW’s. And my Xterra. Rather dull. 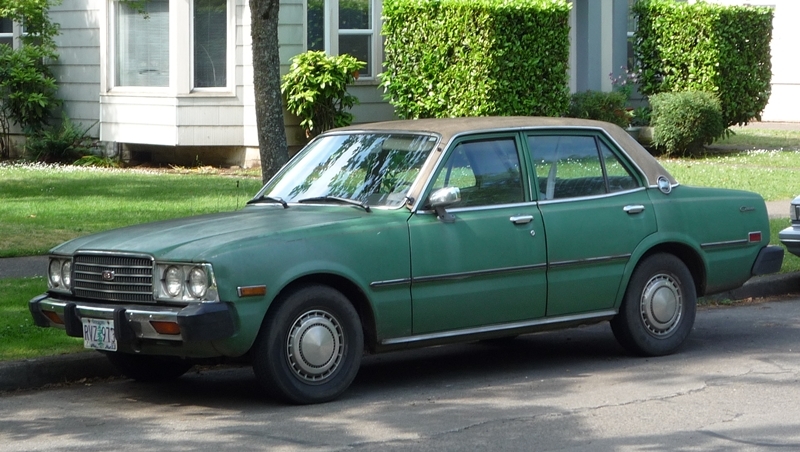 My first new car purchase was a 1980 Corolla. 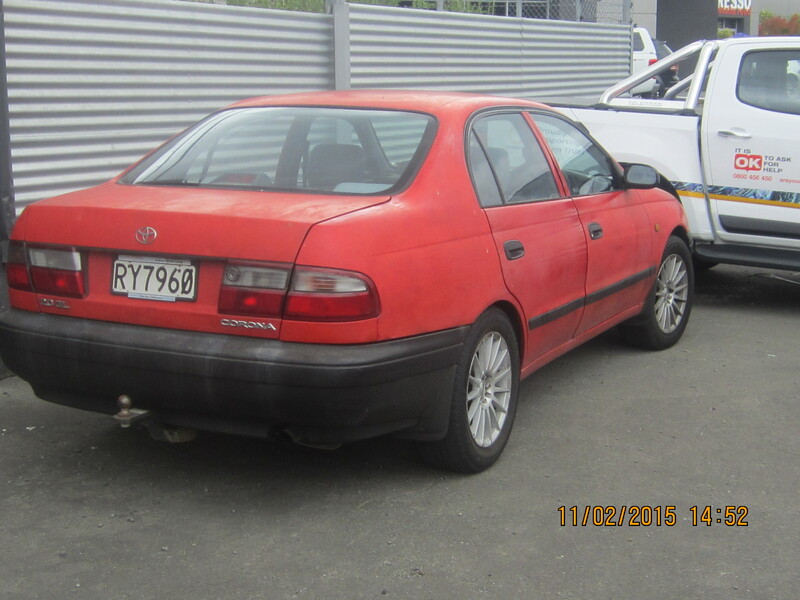 It’s dead on reliability resulted in subsequent purchases of another Toyota and 3 Nissan’s. With 2 VW’s and a Volvo in between. My generation came of age during the Detroit implosion and to this day, the big 3 aren’t even on the radar for when car shopping. Too bad, I know those bad old days are long gone, but still…old habits die hard. Well I Wasnt too far away on the clue these old Coronas are tough cars they stand up to all sort of abuse and lack of maintenance far more durable than the crappy datsuns which rusted out early or blew headgaskets just to keep your mechanical skills in tune Coronas were plentiful here and in OZ all floorshift or Tbar auto no bench seats here The Corona evolved into a FWD car simply by putting a FWD subframe in and equally as tough as the earlier models I only recently sold a 90 Corona Diesel auto to a mate he loves it cheap as on fuel and goes well I prefer French turbo diesels which go well handle brilliantly and are quiet hence the change but that old 2c diesel just kept going it burned oil and since the odometer is only a myth it probably has in excess of 400,000kms on it Our diesel tax is levied by distance travelled so ;lots of people disconnect the speedo Ive done the same in my Citroen dieso is only $1.50 per litre gas is $2 easy math on why its popular The best JAP cars by far but rare in NZ now the tide of used imports drowned the old ones. All over the world, millions of buyers went for the dead reliable and put up with the dull, boring, out-of-date, and conventional. They were/are the manufacturer’s bread and butter. Toyota chipped away at Holden’s Australian dominance when it jumped the >60% tariff wall and assembled cars like this Corona in Australia. I remember being a passenger as a kid in numerous Corona’s like this one being driven by friends’ mothers. The dads would have a big Falcon or Kingswood, and the mothers would ferry the kids around in the Corona. Women drivers liked that reliability. They were also desired by the obsessive, resourceful tight-wad male. In the mid-1990’s I knew a bloke who drove one of these. He had a couple of spare engines just in case he ever needed to swap one out. He eventually acquired a spare car, in case some hoon t-boned him at an intersection, or he hit a kangaroo on the drive home – he lived in the bush. Toyotas and Datsuns were starting to become part of the landscape in the midwest by 1968 or so, and were quite common by the 70s. Oh the things we didn’t know we were going to miss, like rear drive Coronas and 6 cylinder Fairmonts. I muffed that 1969 date; it was actually 1967, and that was when they started appearing with some degree of regularity in Baltimore. By 1969, they were very common already, and the Corolla was making very quick headway in its explosive jump to the #2 position. I remember guys bringing them back home to Deer Hunter country from Vietnam. And the Crown Comfort is my absolute favorite taxicab. Great find. I knew cars like this had made it when I started to see them parked, all dusty and definitely retired, beside little houses in small Nevada towns. My folks’ first new car was an ’80 model. White with red vinyl interior. Dad’s years of GM loyalty were being severely tested by a series of crap company cars and my mom never had traditional taste in cars. It was a total impulse buy – Mom’s aging Hornet was in for service at the local AMC-Toyota dealer and she was smitten the moment she saw the Corona on the showroom floor. They got thoroughly screwed on the deal, given that 15%+ interest rates and “Additional Dealer Markup” stickers on Japanese cars was the norm in 1980, but my parents never looked back. The Corona was dull (Of course the pathetic Fairmont was about as sophisticated as Detroit got at the time), but it was such a jewel of a car. It was so precisely put together, with quality materials. It had major rust problems after five years – Japan’s Achilles heal – but it still felt as tight as the day it left the showroom. Contrast that with my dad’s last GM – a brand new Skylark that drove like a five year old car. It may have been old hat on the West Coast, but the Corona was still a novelty in Midwest in the early ’80s. Today my extended family drives imports almost exclusively, but my folks were the first and the car raised a lot of eyebrows. Even into the ’90s, we were one of the only import owners on our somewhat blue-collar, middle-class street. Fast forward thirty years or so, and replace “crap company car” with “personally paid for crap GM car” , then replace “Corona”with “Corolla”. That is the reason for a 2008 Corolla sitting in my garage. I know many find Corollas boring,but as someone that pays for all repairs I find Corollas quite exciting…. Toyota being the company it was used to take critisism of its cars quite seriously to the point where a NZ motoring writer who constantly rubbished the mediocre handling FWD Coronas have was employed to improve them The guy is called Cris Amon an ex grand prix driver and his reworking ot the Japanese Corona was a marvel they actually held the road well and were completely controllable when the traction evaporated he based his upgrades on the Peugeot 405 which was at the time the worlds best handling FWD car he got close too. FYI NZ Toyotas are fitted with the stiffest suspensions as new, Aussie are one grade softer and JDM and US cars have the marshmallow setting. 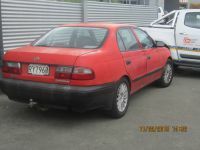 This is a 92/93 Amon Corona I had one in blue they were also galvanised so no rust ever and plenty left on the road too. Are the models actually called ‘Amon Corona’? He features quite a bit in my F1 readings, but I’ve never really focused on him. A later member of the NZ diaspora that featured McLaren, Hulme and Lambo development driver Bob Wallace. When he first dfeveloped them they had Amon stickers on them these later models didnt it was well known that Kiwi new Coronas had the wider rims and beefed up suspension and 2L engines Jappas were mostly 1.8s and driving the two is like chalk and cheese one steers and the other understeers in true Japanese style on its narrow tyres and over soft suspension. Its quite possible Amons work on Kiwi Coronas led to Toyota selecting New Zealand as the development market for the world Camry, and even our Camrys had different suspension rates and faster steering racks than their Aussie stable mates to suit our road conditions, the development models were great cars fast good handling nothing like the bland world spec one. I always thought Mazda was the most “westernized” of Japanese automakers. It even made the “Roadpacer” which was a Wankel-engined Holden Kingswood. 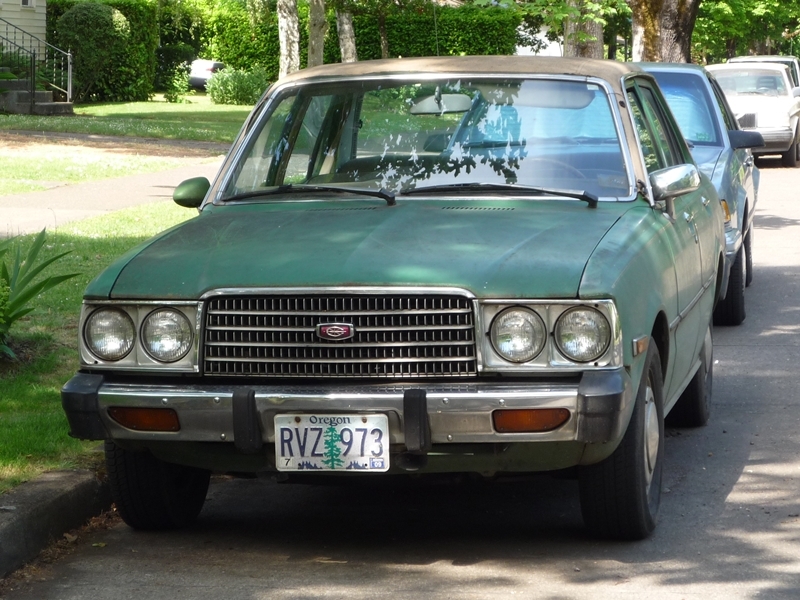 The 1977 Corona is still being made, in a way, as the Toyota Crown Comfort, Mr. Akio Toyoda’s favorite car. Almost exactly the same boxy shape. Same JDM tax-friendly 1,695mm width. Thanks for reminding us; I knew that, but it slipped my aging mind. Truly the Checker of Japan. Do they even sell these Crown Comfort to the public? I think they’re for taxi or fleet only, kinda like the London cab. The “Toyota Crown” that they sell to the public is unrelated, related to the Lexus LS instead. The Crown Comfort is also found here in Indonesia as a premium taxi. The Crown Comfort is the taxi. The almost identical Crown Sedan is sold to the public. They share nothing except the “Crown” name with the other Lexus-like Crowns. Production of the Nissan Cedric Y31 ended in Sept. 2014 (Its successor is the FWD NV200 van). With the Hindustan Ambassador also no longer made, the Toyota Crown Sedan / Crown Comfort truly stands alone as the sole remaining RWD 4-door sedan with live rear axle … A once near-universal configuration. Actually, with the new Mustang now having IRS, the 4-door qualifier is not needed. The Crown Sedan is the ONLY RWD passenger car in the world with a live rear axle still in production. “Luxury Edition”…rich velour-type upholstery. Did they use the same ad agency as Chrysler back then? Yes, very “American” indeed. The Cedric and Gloria (and Toyota Crown) were two steps up the ladder from the Corona, which was more directly competitive with the Bluebird. 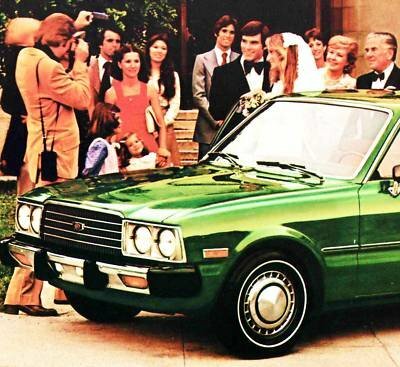 the way i remember it, within three years of the first 70s oil crisis, every chevy, ford & mopar in new jersey was traded for a honda, toyota & datsun in that order. everyone in my home town was astounded at how much better built they were than that crap coming from detroit. Both wagons mentioned above were that “Japanese Car Chocolate Brown” you don’t see anymore, BTW. I learned to drive in one of those things- never got laid in one (go figure LOL). Oh well. I still have always thought that was one of the neatest little cars my family ever had. My dad even taught me how to tow and maneuver a trailer in it. We had a little Coleman camper that we towed with it. By today’s standards that is one hell of an ugly looking car. 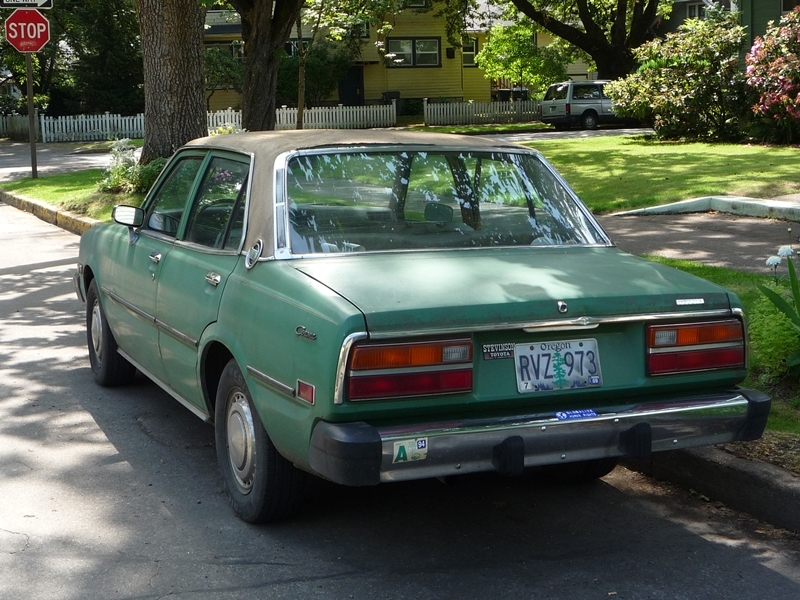 In the lexicon of hideous-looking Japanese cars of the ’70s — a rich history, to be sure — I think it’s really pretty innocuous. A Plymouth Volare that shrank in the wash, maybe, or a scaled-up E50 Corolla with a less-awful grille. I agree. It’s one of the blander-looking Japanese cars of its period. I inherited an automatic ’78 Corona wagon, with the same dreadful wheelcovers as the subject vehicle, in the fall of 1991. Ran fine at the time, but a summer 1992 trip from Charlotte NC to Portland ME (chasing a girl) was the beginning of the end, and it started overheating at highway speeds in Virginia on the way home. I was able to keep the temp down by using Skyline Drive and the Blue Ridge Parkway, which lengthened the trip considerably but which obviously provided some amazing scenery. And I ended up marrying the girl two years later. Still happily married. Those old style non split bench seats. I remember them well. I’m 6ft and when riding with a smaller person having your knees under your chin and nose up to the windshield was all kinds of fun. Great find, missed or forgot this write up the 1st time. I remember when you used to see old car bench seats on the front veranda, for the old folks to sit on and watch the world go by. Don’t see that any more. 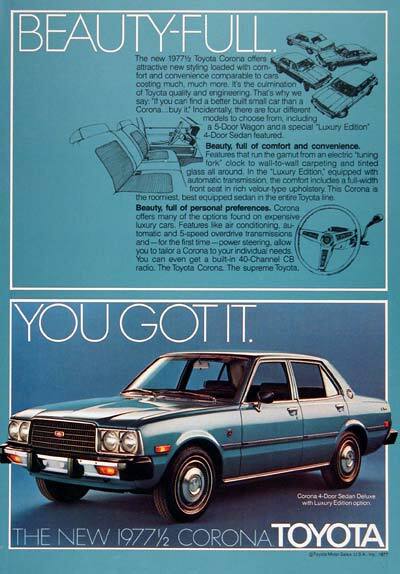 I thought the mid to late 70’s Toyota Corona’s were the best looking ones of the bunch, I was surprised they came with column shift automatics instead of the floor shifts which was typical of the 70’s Japanese cars, I never cared much for the final generation of the Corona’s that came out in the US. The first “foreign” car my family had was a 1970 Corona. I was amazed at how good the materials in that car were. My brother beat the bark off it and soon wrecked it. I remember first seeing the 1978 when I was 5 yrs old. It’s a good looking car in every way except the front end. A Toyota with a bench seat! Seems as foreign as, well, a Toyota with a bench seat. Even though the Camry replaced the Corona In North America after 1983, the Corona was still being produced alongside the FWD Camry at least through the late 1990s. I was surprised to find out that the Crown Comfort (the majority of which were taxis in Asian Countries) was actually based from the ancient Corona featured in this story and in fact they were about 180″ in length, only slightly longer than the previous Corolla Sedan we used to have here at 179″ and shorter than the redesigned Corolla made for North American Markets. The Corona featured here also looked like a shortened Cressida/Mark II made from 1977-80. Lastly the Camry and the Avalon in essence were what the Corona and Cressida/Mark II used to be in size hierarchy in both US and Canada. The Corona continued for quite a while. Toyota began switching it to FWD in 1984, although some models remained on the older RWD platform for a long time afterward. The FF Corona shared its platform with the FWD Carina (and Celica), although they had different styling and were sold through different dealers. They continued through 2001 and were replaced by the Allion/Premio and to some extent the Avensis/Caldina. Buddy of mine in high school had a coupe, ’75 or ’76. To his eye, it looked like a current model BMW 320i. He still wears glasses! I was just thinking it looks like a cross between a Rambler and an old BMW. This is nothing like what I remember as the Toyota Corona. I remember a sporty 2 door hardtop with looks in-between a Celica GT and a Tercel. Maybe the American Corona was a completely different car than the rest of the world got. I actually like it, for a 4 door. And mostly because of it’s dated design. I love the vinyl roof, and it would look better with a set of whitewall tires, but if they are 13″ like my Pinto they are no longer available. The more you look at it the more details you see. Is that the gas filler, between the vinyl top and body, with trim around it? A modern day Camry is totally bland, totally devoid of anything that could give it any character. When you look at it all you see is a colored blob. Wow; it’s been an age since I’ve seen one of these. And a first-gen Chyrsler minivan in the background no less! My aunt and uncle had one in the early 80’s, though I have only the faintest of memories of it. These always did look to me like a larger version of the E70 Corolla, the quad-lamp versions, though evidently the equation worked the other way round since these came first. Spotted in Pawtucket, RI last month: a “Luxury Edition” liftback from a few years later. This is my favourite generation of the Toyota Corona. Go over just the exterior on this car, and count all the individual parts, all the trim, all the nuts and bolts, everything that can be taken apart. You will find a whole lot more parts than you will on most any new car. Probably about twice as many. That kind of attention to detail is what attracts me to cars like these. I noticed the same thing about the mid ’70s Honda Civic. There were 7 separate parts in each side marker light. And the lights had real bulbs in them. Today, many of those marker lights are one piece, with a wire connected to them. When they fail, you replace the whole thing. No bulb in them, just an LED. Inside a sealed one piece unit. It’s all that mechanical ness that makes me like those old cars. How carefully they were crafted and fitted together. They don’t have that cheap plasticy throwaway feel that today’s cars do. They felt much more substantial, and like a lot more work went into building them. To bad about the rust, but it doesn’t matter much, you cannot buy most parts for them anyway. The Japanese have never supported their products over the long term. Now American car manufacturers are doing it that way too. Odd how you can still get every single part of a mid ’60s American car. My Paw Paw had a collection of toyotas (sedans, 1 wagon, and 1 coupe), when we were growing up, in Texas. I kick myself for never being smart enough to know how reliable they were. In 1992, I bought my first car: a 1973 Mercedes 280C. She was a dream, but had I understood that what Paw Paw had represented reliability and economy on the most obscene scale, I would have bypassed the Benz, and reached for that Toyota Corolla Wagon– Japanese Car Chocolate Brown, with faux wood siding. In April, 2010, after searching for 6 months for an older model Japanese station wagon, I found two: a 1978 Toyota Corona station wagon, which sold before I could get my hands on it; and a 1981 Datsun 210 station wagon, which I immediately snapped up, in Austin. That Datsun is a little soldier, and from my experience with him, I’m more inclined to believe the same of all of the Japanese cars of that era. I’ve driven him from Texas, to California– fully-loaded with everything I owned; back and forth across the Rogue and Siskiyou mountains countless times; up and down the Pacific Coast, and more…… all with little complaint. All this to say “thank you, Paw Paw, for showing me what a good, reliable, economical car looked like”, and “thanks” to all of you who have posted your own experiences regarding these “Japanese Billy-Goats”. 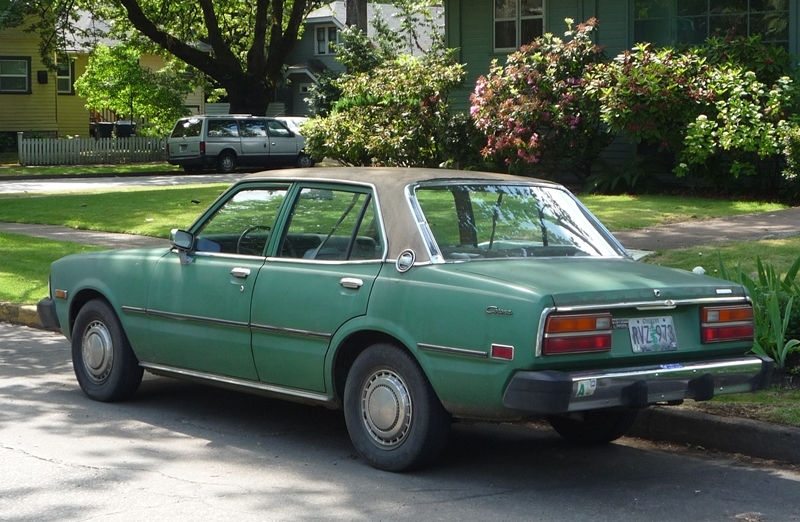 A nitpick: the Comfort and Crown Comfort are actually based on the X80 Mark II (Cressida). 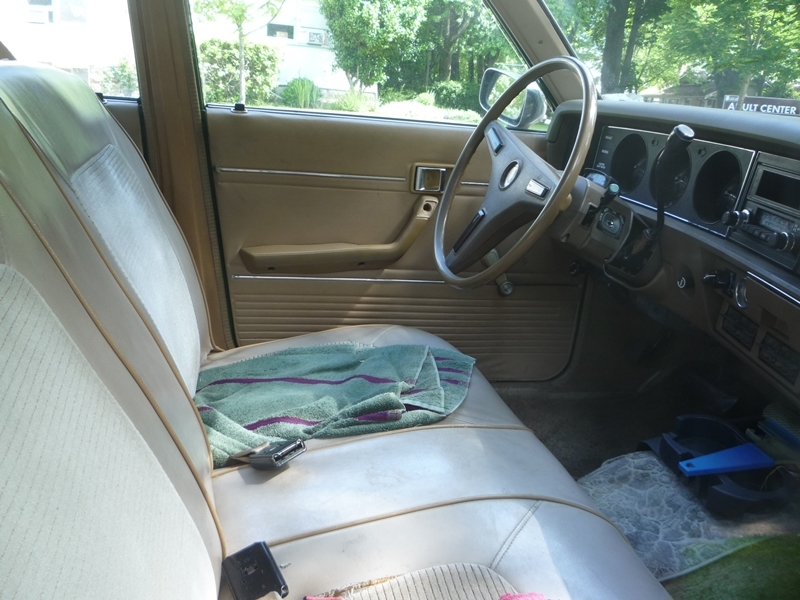 In reality, there isn’t much difference in interior size between a 1978 Corona and a 1978 (or 1988) Cressida. Great cars all. I agree with Mr. Toyoda’s assessment.